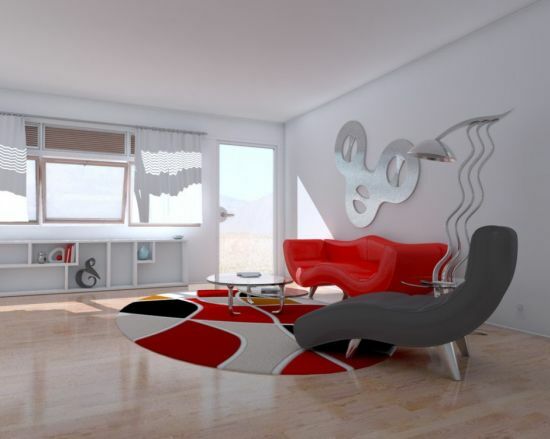 Living rooms, as we have mentioned many times, are the most important places in a house. These are the places where we welcome guests and spend quality time with friends and family. As such, these areas must never be ignored when one thinks of redoing or staging the house. A home’s decor would seem incomplete if a living room hasn’t been styled at par with other places in the house. When we speak of decorating living rooms, we must mention about living room seating that occupies a vital place as a room will be considered incomplete if there aren’t any proper seating arrangements. The post today will cover the top 15 creative living room seating ideas that range from simple minimalist designs to colorful seating concepts, some of which have never been seen earlier. Take a look and enjoy! 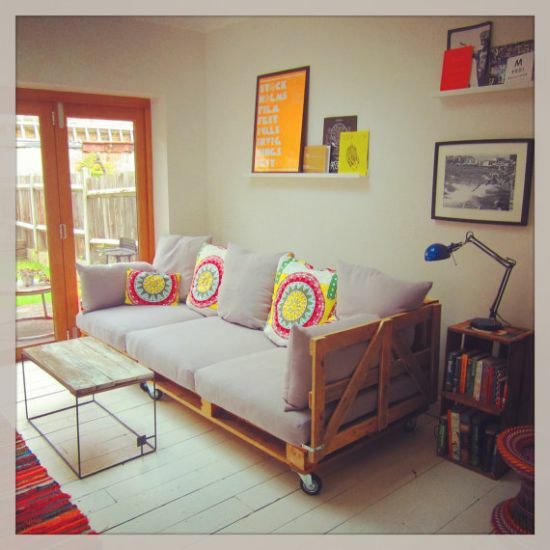 Wooden pallets are increasingly being used for building furniture for living room seating. These look smart and lend a very chic appearance to the decor. The living room in the image has been anchored brilliantly with a large couch made of wooden pallets. The light toned color of this couch matches the rustic wooden flooring that too is constructed using pallets. The wooden framed glass door adds to its chicness. Chakkis are very fashionable accessories that are being widely used by people the world over for a chic look for their living rooms. These have an Indian origin and are basically derived from the wooden chakkis that are used as tools to grind wheat. The outer appearance of the rims is similar to a chakki but it looks more like an extended version of a Turkish ottoman. The white carved chakkis seen below add a chutzpah to the whole white decor of the room with their smooth printed fabrics plastered on top. The best part about using these chakkis when styling your living room seating is that these are portable and suit any type of decor. The latest living room ideas and trends call for bringing innovative changes to your living rooms. Seating is a primary feature that is thought about when planning for designing homes and now days, one can hear a lot about Sake poufs being marketed everywhere. Poufs are like ottomans but are a little more flamboyant and stylish in design. The poufs seen in the image are trendy in design and can be used in a number of ways like a coffee table, a stool on the terrace or many others. The design is such that it fits seamlessly in any type of decor. 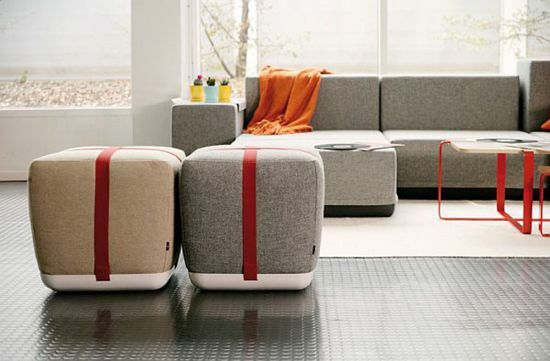 With a white main base, the poufs come in colors of beige and grey. Knitted poufs such as the one seen below is quite interesting, designers are talking about this as far as living room seating ideas are concerned. 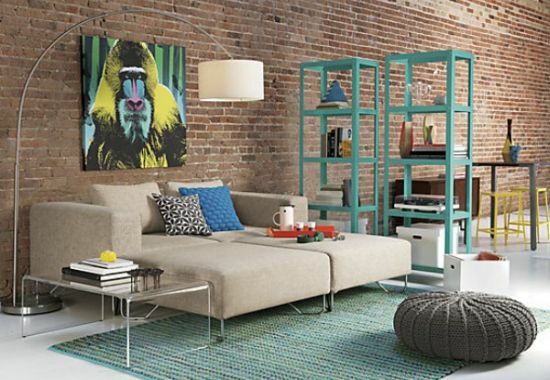 Poufs, in general look stylish, and the one seen here seems to steal the limelight as it is knitted and looks very chic against an equally trendy backdrop of bricked walls, a painting involving a baboon, light cream furniture and a knitted carpet. Hassocks are an integral part of interior designing with regard to living room seating arrangements. These look stylish and add a spark of glamor to any room. 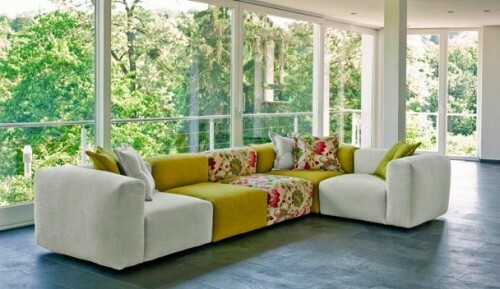 The two brightly designed hassocks bearing patchwork in velvet look amazing and spruce up every corner inside the room. The colors used in these hassocks seem to weave a nutty feel and the beauty of the interior gets amplified with a contrasting effect created by the light grey couch anchored right in front of them. You can play with myriad styles when choosing living room seating arrangements as there are whole lot of designs that crop up from time to time. If one so desires, he or she can place different seating pieces and put them side by side to create a long look like in the image where bright orange colored mattresses have been lined up together on a common white base. These look quite modern and are styled along with an orange bean bag. An L shaped couch looks extremely stylish and more than that, it can be used for seating a large number of people comfortably. 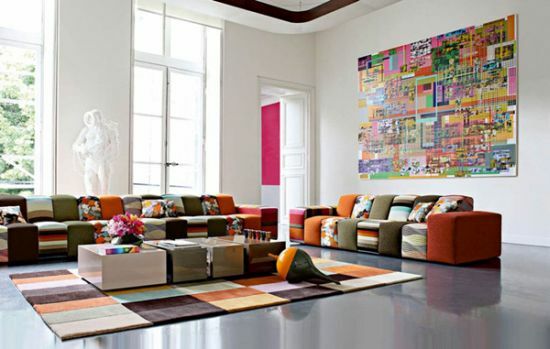 The image shows a living room seating arrangement where the designer has installed a number of colorful sofas and placed them in the shape of L. With various tones like pink, green and beige playing their parts beautifully, the living room seating looks astounding. The look of the decor gets a refreshing touch with this awesome seating design. The living room seems like some kind of artwork by a great artist since it involves mix and match of various bright colors along with pure white. The sunken seating arrangement of this room looks extremely gorgeous with numerous pillows scattered all over the seat, bearing patchwork that shimmers all through. 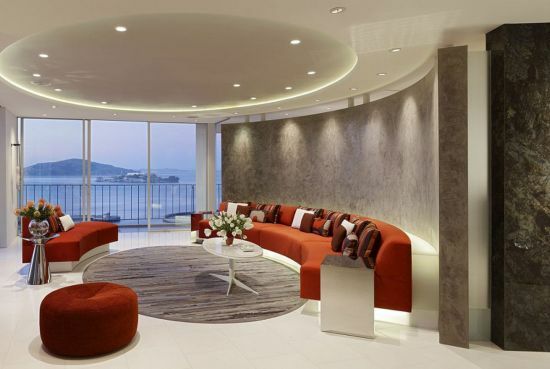 The sunken seating makes one feel warm and cozy, surrounded by beautiful hues. The squarish seating is perfect for such rooms that are huge. There isn’t any other color combo as cool as that of red and white and this eclectic gorgeous mix can be seen in the living room seating below that has been adorned with this lovely design concept. The chunky modern red couch with golden brown hues lining the rims of the mattress, and the white sofa offer a good eye grabbing contrast and make the room appear lively and cheerful. With a unique looking white chair for living room seating, anyone can add a dash of style, no matter the size of his or her living area. The white chair with smooth and silken curves blends well with the trendy decor and is accompanied by a white designer coffee table. 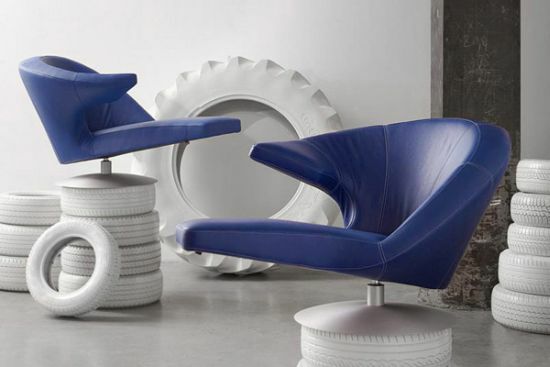 The chair looks comfy and can be installed anywhere for creating that ‘special zone’ we always crave for. Looking forward to decorate your living space with such a seating arrangement that would blow off everyone’s senses in one go? If yes, then here is a living room seating idea that would add a sparkle of style and make you a very talked about subject in your neighborhood! The choice of furniture selected for this room is eclectic and makes a bold style statement with creative red and grey seating sofa and lounger. The design manages to bring out a ‘jaw dropping’ expression from onlookers. Complimenting these is the bright patterned roundel rug spread on the floor. Rattan or wicker furniture are the perfect choice when you plan for staging your homes or reinventing the decor. Such furniture is not just Eco friendly, but also lends an ethereal touch to the decor of a room. The living room seating seen in the image here has been decorated with wicker sofas and stools that seem to bring out the charm of this lovely room. 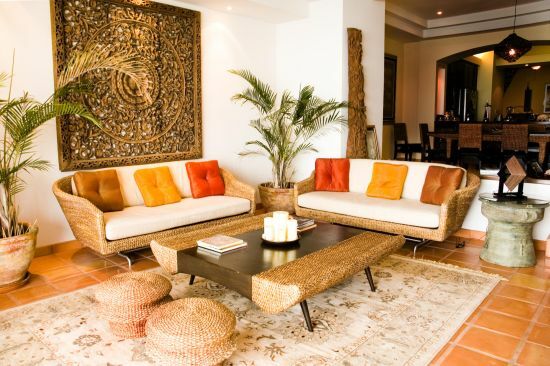 Above the wicker base is plastered a white upholstery with colorful cushions to fill the interior with a tropical feel. What if you could get your hands on some designer sofa or chair that could help you change the very look of your living area? Look at the picture below where two Parabolica chairs are showcased and look absolutely stunning with an asymmetrical design that creates a powerful personality for your home. Any living room seating would get a shot of glamor once you install these darlings that are not just great in the ‘looks department’ but are also quite comfy with proper backrest and armrest. Low seating living room ideas have been a popular concept since time immemorial as these offer comfortable seating as well as suit any type of decor. The look displayed by this gorgeously adorned living room is simply mind blowing with a bright yellow colored low seater that looks quite comfy and can be placed in any corner as one pleases. 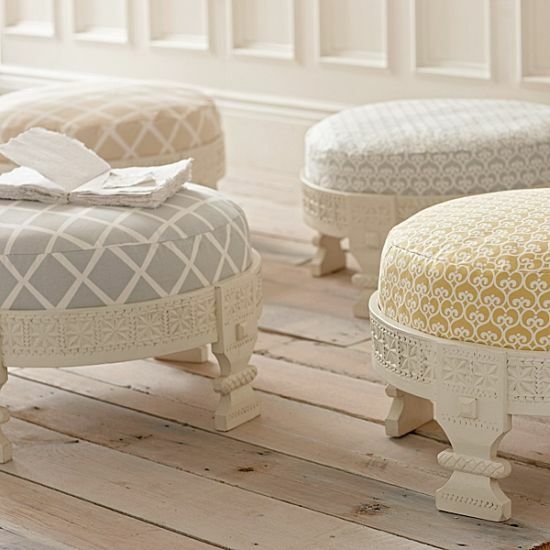 Matching with it is placed a roundel stool resembling a cushion. These living room seating ideas offer a glamorous look and are retro in style. 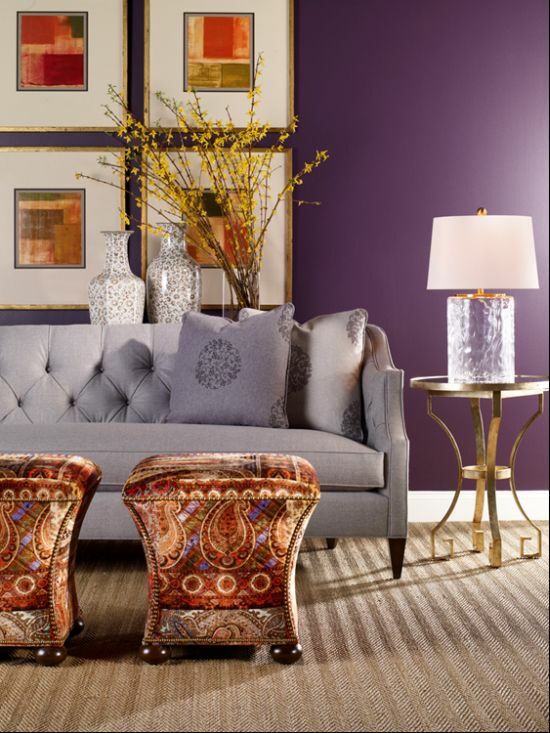 Colors add life to homes and living rooms must look presentable at all times as these are the places that serve as welcoming areas for guests. Seen in the picture below is a vibrant looking living room that has been styled with the most colorful and decorative couches one has ever seen. Looking at the two huge couches, one would feel as if these have been build using different pieces, but, it is not the case. 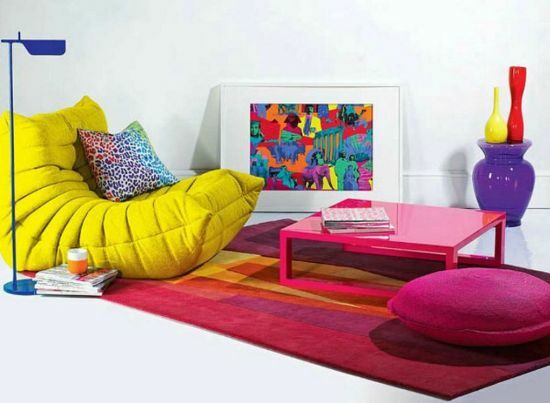 The myriad colors splashed all over the couches match the striking humongous painting hung on the wall just in front. In whole, the room would make anyone smile and feel joyous. 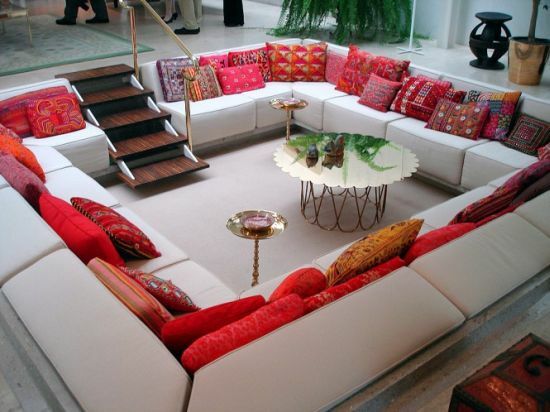 There are many other such lovely living room seating arrangements that are still left to be covered. These seating ideas are quite popular because of their impeccable finishing, varied color palette and the uniqueness of their designs. Each one of these living room seating ideas will take your breath away with their sheer beauty and elegance. Hope you all liked the post and enjoyed it thoroughly!